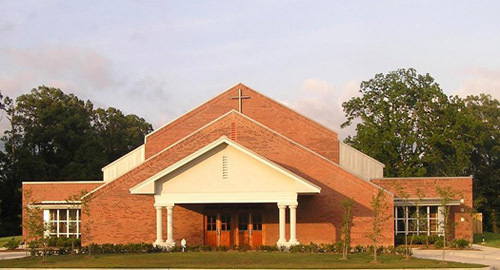 What is Magnolia Full Gospel Baptist Church? MFGBC is a group of ordinary people who have an extraordinary God – the God of the Bible – who not only has told us of His great love for us, but also demonstrated that love in the person of His Son; who stretched out His arms and died for us, then rose victoriously over sin and death in the power of the resurrection to live for us today! This is what we as a people are about here at MFGBC. We are about Jesus, the author and perfecter of our faith, and have placed our faith in Him as our Savior, our Lord, and our very life. We believe that He gave Himself for us on the cross, so that He could give Himself to us today – that He lives in us and expresses His life through us by faith and that makes a very special people before God. We are the new man of Ephesians 2 – the church, for which God gets all the glory. It is through this understanding that the ministry here at MFGBC seeks to function – because we are the church. We have a Father: God has adopted us into His family, giving us His Spirit so that we cry ABBA (Daddy). Our first priority in response is to love God with all our heart, mind and strength, for He has first loved us. We have a Family: By virtue of our common faith in Jesus, we all share the same Father, which makes us brothers and sisters in Christ. Love for one another thus becomes our second priority for we are a part of His family forever. We have a vision: “Where there is no vision, the people perish. . .” (Proverbs 29:18). The Father seeks more true worshippers and we have been commissioned by Him to share the wonder and love of Jesus to those who so desperately need Him. We seek therefore, to be a safe harbor for those who encounter the storms of life, ever ready to minister to them the healing power of Christ as He gives us opportunity.